LONDON (Reuters) — British workers' pay growth hit a new 10-year high and employment grew by much more than expected in the three months to the end of November, as the labour market remained robust despite other signs of an economic slowdown ahead of Brexit. Average weekly earnings, including bonuses, rose by 3.4 per cent on the year, the Office for National Statistics said on Tuesday, the biggest rise since mid-2008 and compared with a median forecast of 3.3 per cent in a Reuters poll of economists. Excluding bonuses, earnings rose by an annual 3.3 per cent in the three months to November. Adjusted for inflation, total pay rose at the fastest pace for two years. Employment increased by the largest amount since the three months to April, although it is unclear whether businesses will maintain hiring at these levels as uncertainty around Brexit mounts. British Prime Minister Theresa May sought to break a parliamentary deadlock over Brexit on Monday by proposing to seek further concessions from the European Union on a plan to prevent customs checks on the Irish border. 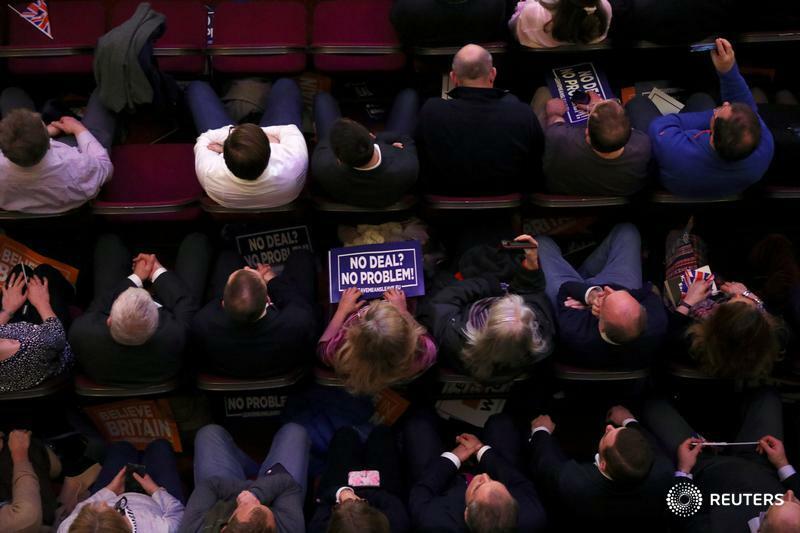 With little time left until the United Kingdom is due to leave the EU on March 29, there is no agreement in London on how it should leave the world’s biggest trading bloc, and a growing chance of a dramatic ‘no-deal’ exit with no provisions to soften the economic shock. Businesses are cutting investment before Britain's scheduled departure from the European Union in late March, leaving the overall economy growing at a snail's pace. Still, the Bank of England has said it will need to raise interest rates gradually to offset inflation pressures from the labour market. With unemployment at close to its lowest level since the 1970s — four per cent in the three months to November — employers have begun raising pay for staff more quickly. However, the pace of wage rises remains slower than the four per cent increases seen before the financial crisis. The number of people in work rose by 141,000 in the three months to November, above all forecasts in a Reuters poll that had pointed to a rise of 85,000.